Gardner Spring has been providing quality springs since 1907. Gardner Spring, Inc., a Tulsa-based spring manufacturer supplying the OEM, industrial supply and hardware industries, celebrated its 100th anniversary in 2007. Gardner Spring was founded in 1907, quickly making its mark as one of the country’s leading manufacturers of stock and specialty springs. Gardner makes and stocks thousands of sizes of a wide variety of springs, and Gardner retail spring assortments offer a comprehensive selection for DIY. 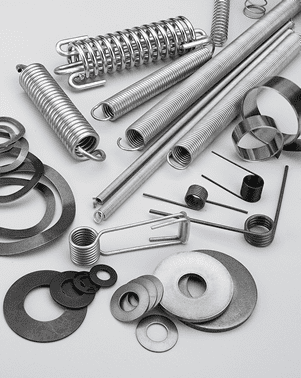 Gardner is your first choice for industrial and hardware springs, including disc springs, torsion springs, extension and compression springs. Gardner Spring is a woman-owned business.